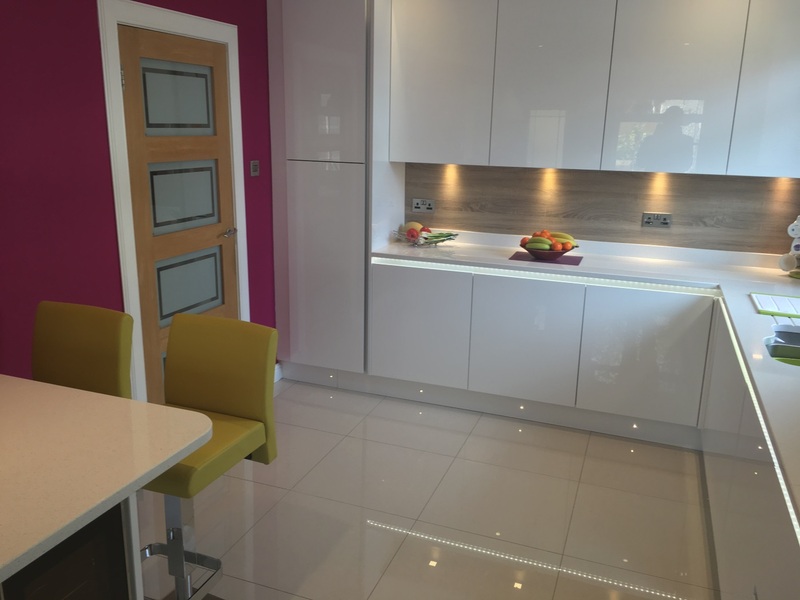 In this recent project in Giffnock we wanted to really make the kitchen stand-out and so we used a mixture of bright colours for the walls and stools, and a Bardolino oak contrast for the splashbacks and carcasses. 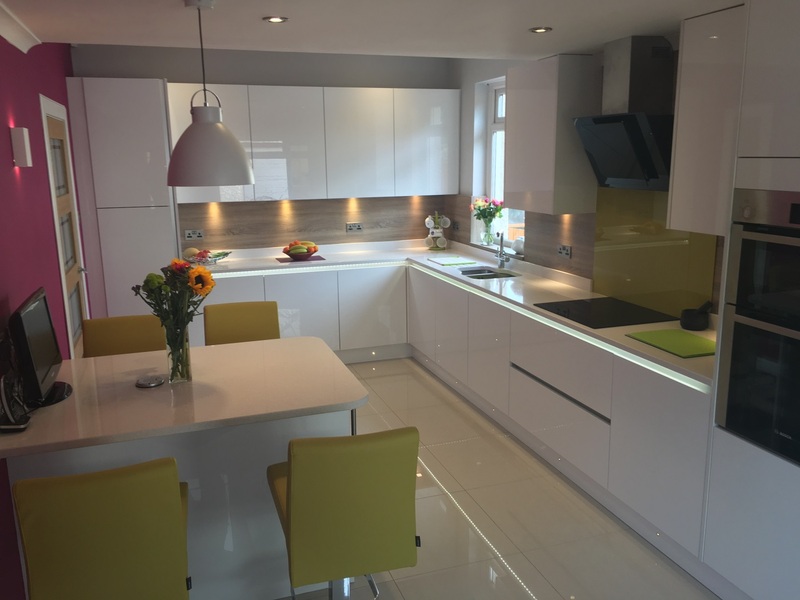 The idea was to create a nice flow in the new kitchen and so a variety of changes to the original layout were made. 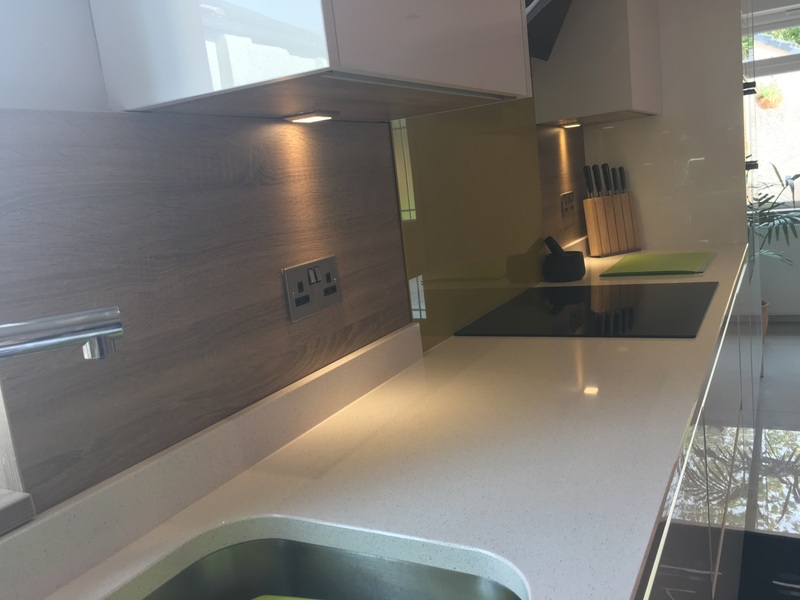 To achieve this we felt that we had to relocate the hob position to the back wall, this would allow ample space to prepare food and was in close proximity to the oven, fridge and sink. 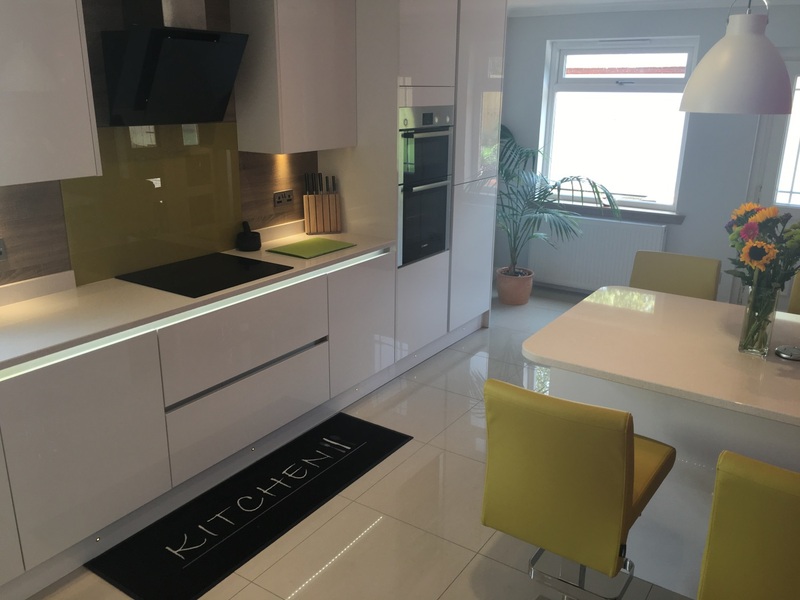 As we take on all aspects of the installation, there was a variety of trades required to achieve the end result. 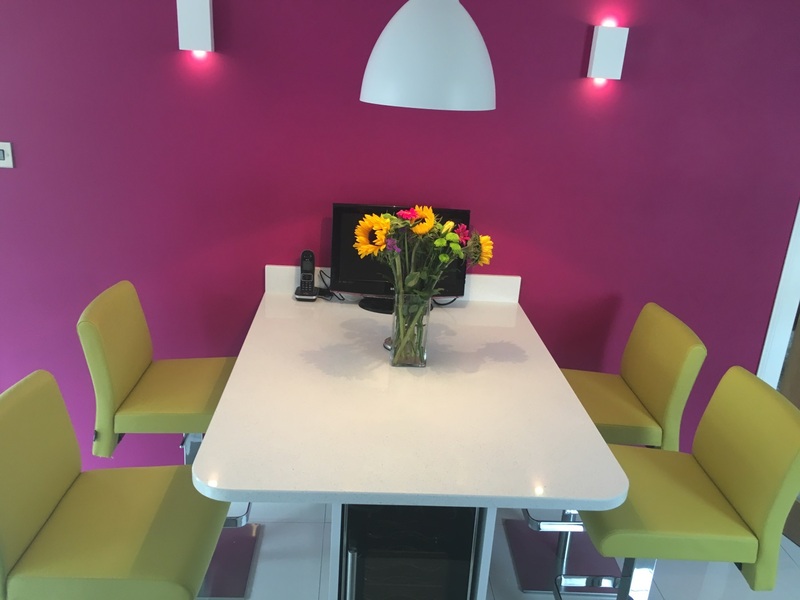 Everything from the electrics, plumbing, plastering and tiling to the installation of the furniture and worktops, is carried out by the Signature team and project managed from start to finish. 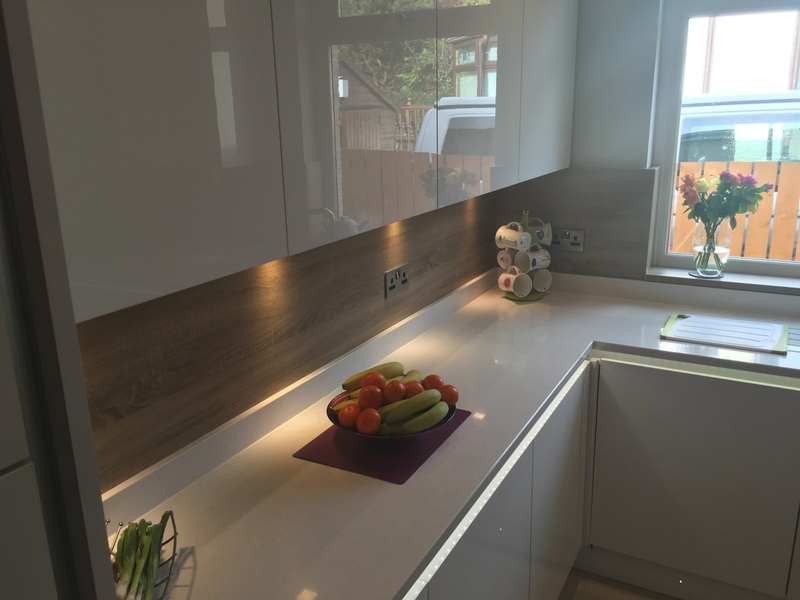 We used a stunning polished porcelain tile in the kitchen that really lifted the natural light in the room. 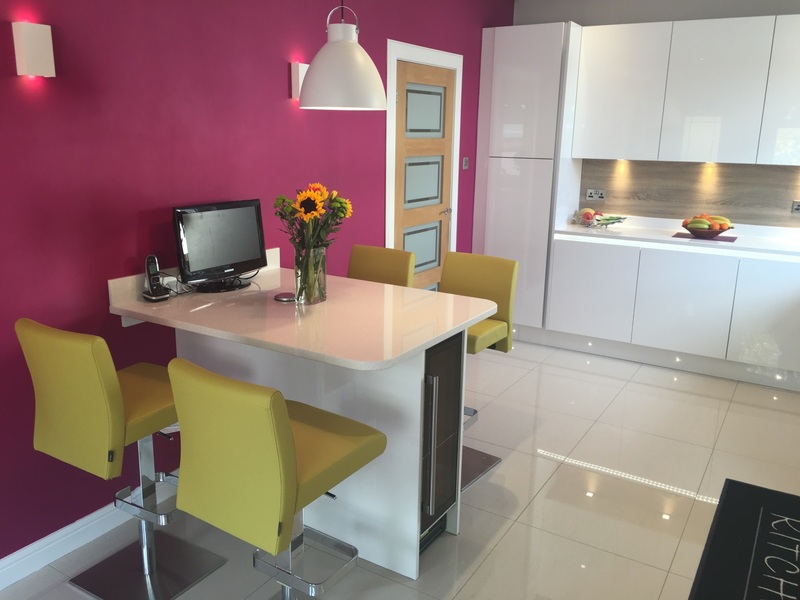 We wanted to really make the kitchen stand out so bold colour was used for the stools, feature wall and splashbacks. 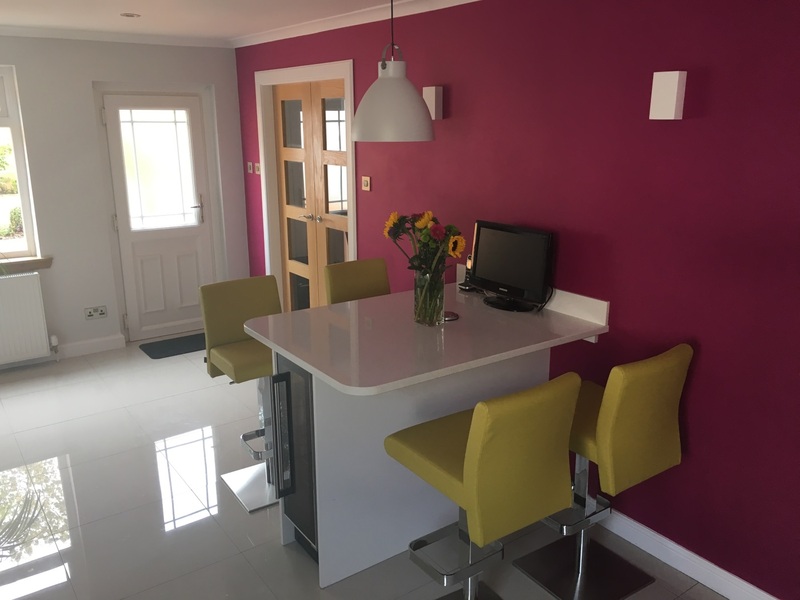 The breakfast bar was designed to be a functional multi-purpose area for eating, drinking and entertaining and so we included a wine cooler and TV point. Wall lights and a pendant light were used to create a lovely ambience at night.